Uh Oh! 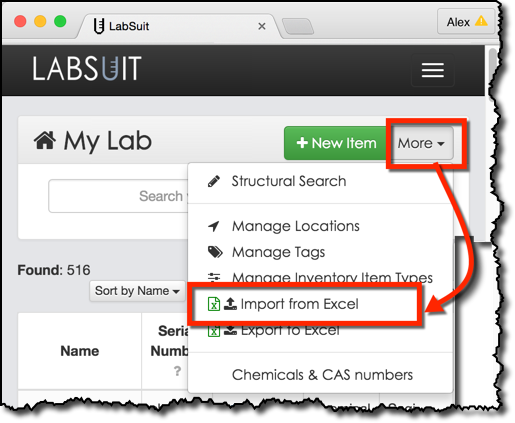 It’s been a while since you last updated your LabSuit inventory, so it no longer reflects an accurate picture of your lab’s closets, boxes, and drawers. No worries! We’ve seen this many times, and it’s easily fixed. No way around it: it’s time to take a short break and rearrange your inventories. In this article I will describe how to do so in an efficient and quick manner. First of all, I assume we already have our inventory with LabSuit. We want to leverage that fact and build up our renewed, updated inventory on top of an existing one. The inventory can be updated in Excel and then re-imported into LabSuit. We will focus on second option. Download the inventory Excel file. 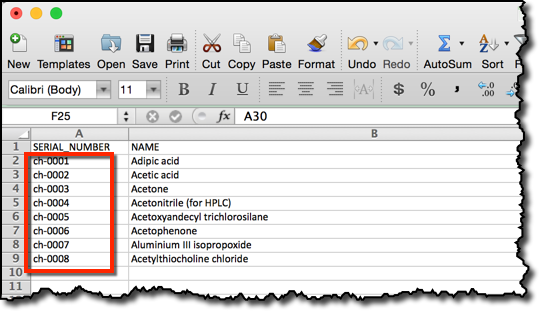 After opening the Excel file you will see at least one spreadsheet. The exact number of spreadsheets will depend on how many different item types there are in your inventory. An exported Excel file would look similar to the one above. Make sure you don't change the serial numbers. 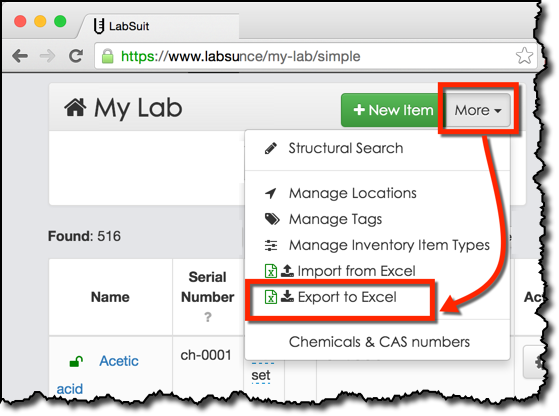 LabSuit will use this column to fetch a right inventory item from its database and update it based on the values from your Excel file. Now, go ahead and edit the other fields according to your needs. If you want to add a new item, add it at the bottom, and do not specify any serial number. LabSuit will recognize it as new item, and will allocate a new serial number for it, automatically. You may also add your own item types simply by creating a new spreadsheet. Make sure to name the spreadsheet after your item type. The last step is to re-import your Excel file once again into LabSuit. Important to know, that if an item has attachments, they will preserved after import. Feel free to ask questions just below that article!